Paper size: 38 x 33 cm. 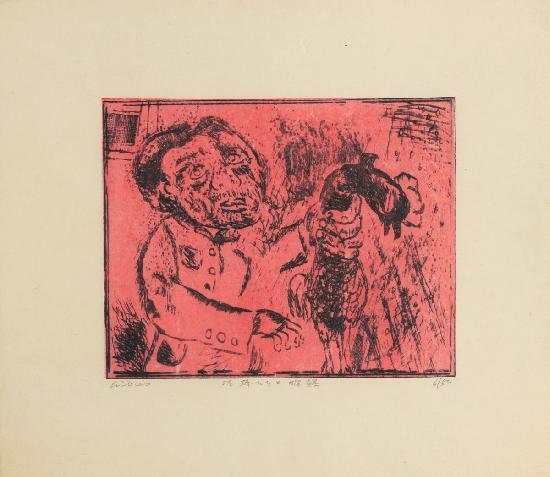 Number 6 from an edition of 50, self-printed in 1976. From a series illustrating Aesop’s Fables. Print details in pencil below the image.